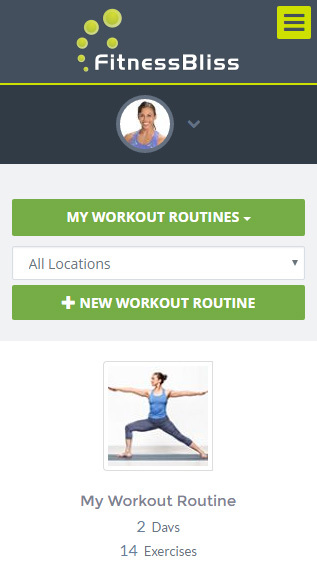 FitnessBliss is a web app that lets you create and manage workout routines. FitnessBliss gives you access to a huge list of fitness exercises, totalling more than 950, all of which are depicted by animated illustrations or videos. FitnessBliss is accessible using your web browser. No software to download. No software to install. You may even access your workout routines and enter results while on-the-go using mobile browsers found in smart phones and tablets. The FitnessBliss fitness web app lets you create, print, track and chart workout routines on your own. By giving you access to powerful workout routines creation tools and a huge exercise database, FitnessBliss will enable you to take control of your workouts by letting you create effective workout routines. Whether you are using the target muscle workout routine wizard or one of the many pre-built workout routines for sports or specific body areas, you are sure to find a way to create workout routines that work for you. 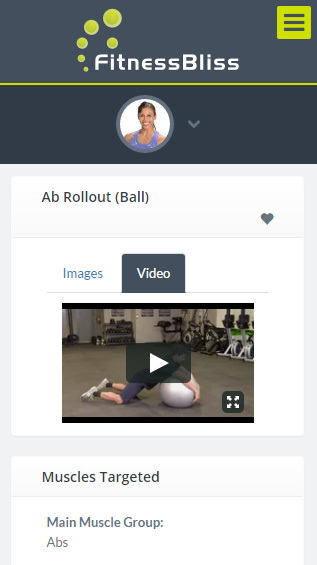 FitnessBliss shows you how to correctly perform any given exercise by presenting you with animated images for each one. Never again will you wonder how to correctly do a pulldown. Never again will you need to skip an exercise because you forgot how to perform it. 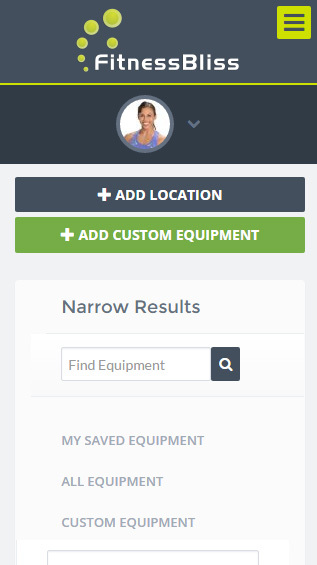 FitnessBliss lets you create workout routines using exercises for every major type of fitness equipments. you can even add your own custom exercises to the default library.